Our Mommy MD Guide’s reply: People have been catching colds since the beginning of time—and for just as long, we’ve been trying to cure them. In spite of our best efforts, the common cold remains one of the most frequently acquired illnesses in the world. If you’re like most adults, you can expect to catch a cold two to four times each year. With each infection, you’ll likely spend around eight to 10 days coughing, sniffling, sneezing and generally feeling miserable. Colds occur when one of over 200 types of microscopic viruses invades the cells of the nose and throat. The viruses may be tiny, but they’re practically indestructible. The benefits of chicken soup aren’t just legendary; they’re also scientifically proven. 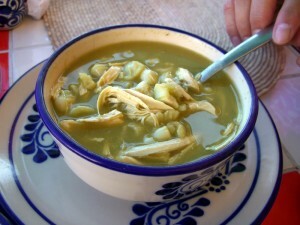 Besides being a soothing comfort food, chicken soup can help relieve nasal congestion and soothe irritated airways. In a study conducted in the 70s in Florida, researchers found that chicken soup eased nasal congestion better than both hot and cold water. They think the heat of the soup helps to make your nose run, possibly reducing the amount of time that the cold germs stay in your nose and helping you to get better faster. Another benefit to chicken soup is the chicken itself. It contains an amino acid called cysteine, which is similar to a drug called acetylcysteine that doctors prescribe to treat bronchitis and other respiratory infections. Yet one more benefit of chicken soup lies in the fact that it’s mainly liquid. Most doctors urge their patients to drink more fluids to get over a cold, and drinking the both in chicken soup is a great way to do that. I always keep cans of chicken soup in my kitchen and give it to my kids if it looks like they’re getting sick. I also always keep the ingredients on hand to make homemade chicken soup, including a whole chicken in my freezer, in case we really get sick. If you’re bothered by nasal congestion, a simple patented system called Nasopure can help. 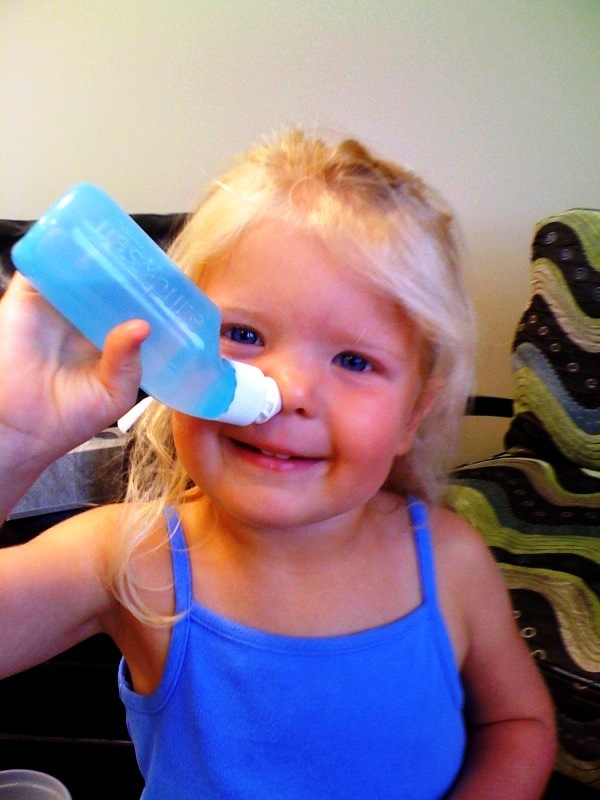 Developed by Hana R. Solomon, MD, Nasopure is the modern, comfortable, and easy nose wash that cleans away mucus as well as pollen, mold, dust, bacteria, and viruses. To use Nasopure, simply add the Nasopure swish sticks salt mixture (buffered and pharmaceutical grade) in the patented Nasopure bottle. Flush the solution into your nose, and it will exit the opposite nostril, leaving you clean and refreshed. It’s so easy.